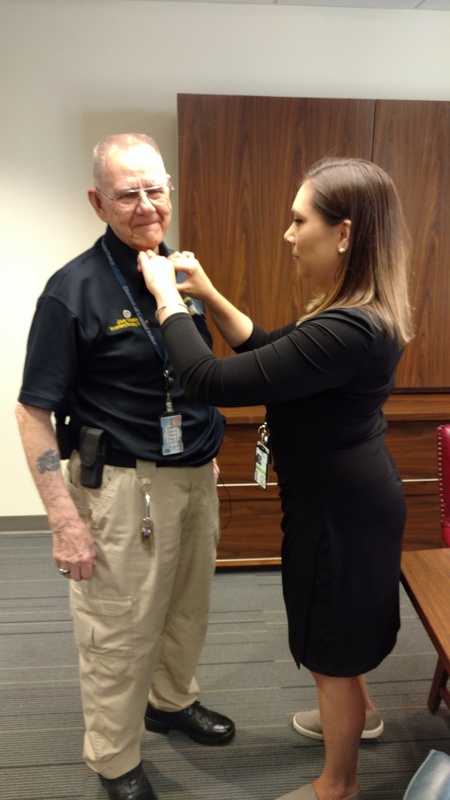 Take a look at some of the events that took place during the DCP 400th Anniversary. 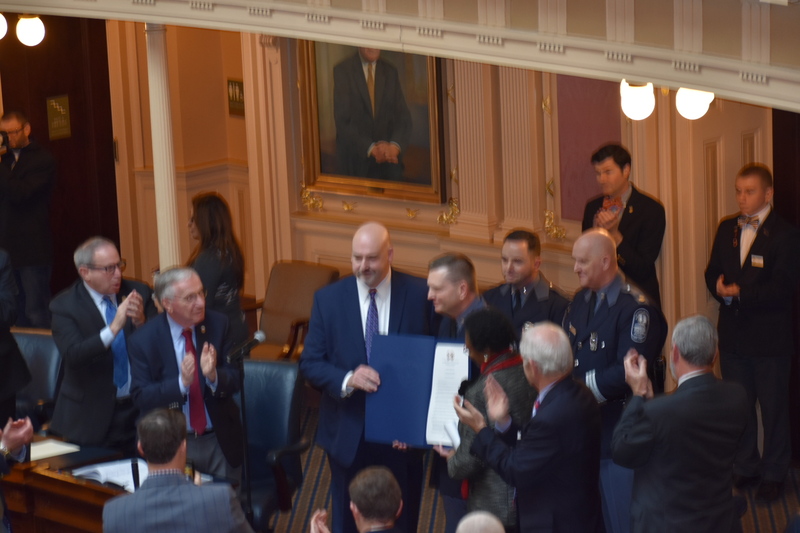 Virginia First Lady Pamela Northam presented Col. Anthony S. Pike, chief of the Division of Capitol Police, a proclamation honoring the 400-year history of the force by naming Nov. 18 Virginia Capitol Police Day. 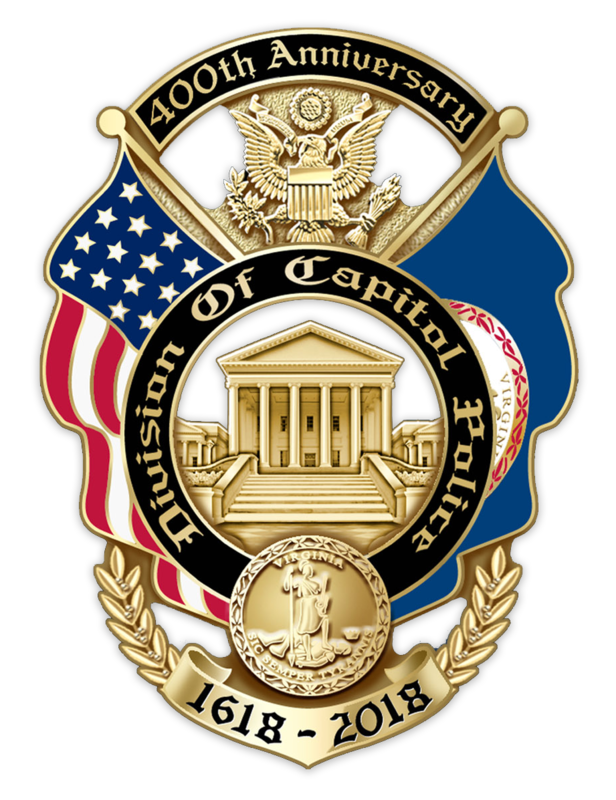 Seventh in a series of collectible ornaments, the 2018 Official Capitol Square Ornament celebrates The 400th Anniversary of the Division of Capitol Police, a beloved institution on Capitol Square. Read more. Ornaments are available at The Virginia Shop at the Capitol and in the Capitol at the Lower Rotunda reception desk. Ornaments are also available at the Bell Tower by appointment only. 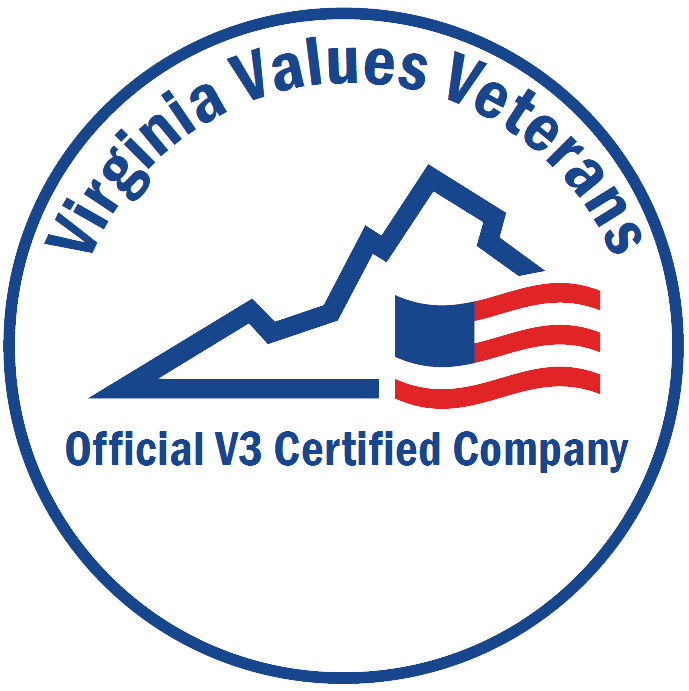 Please call ahead by contacting Andrea Siebentritt, Communications & Development Coordinator at (804) 786-1010. Order Now. 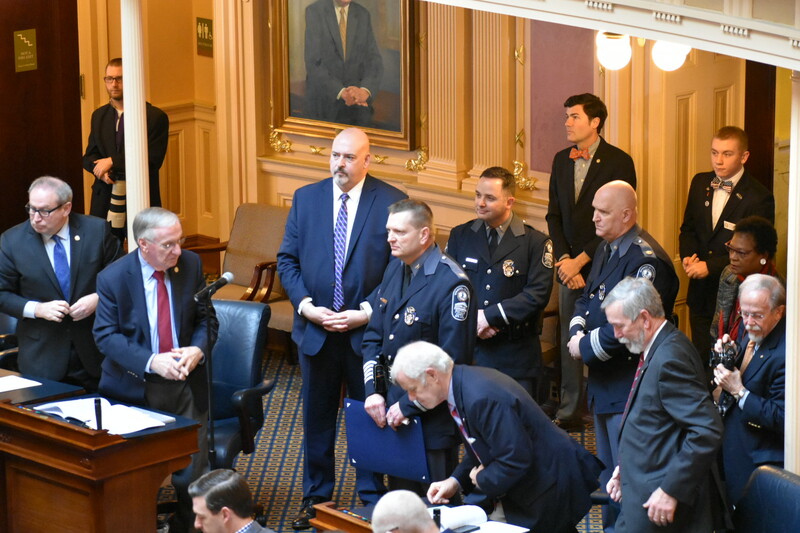 The 400-year history of the Virginia Capitol Police was the subject of an exhibit that opened in the Virginia Capitol Annex. The exhibit, curated by the Library of Virginia and scheduled to remain in place until January 2019, featured contributions from many people, including Dorothy P. Seawell, widow of William A. Seawell, who served as the division's chief from 1961-70. 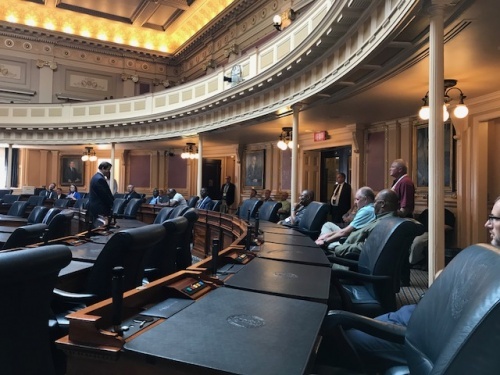 The Virginia Capitol Police welcomed participants from around the world to Richmond for the National Legislative Services and Security Association's 2018 Professional Development Seminar for a series of speakers, demonstrations and security briefings. 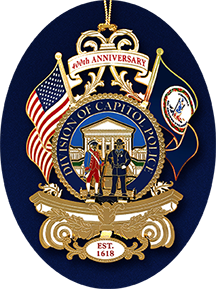 The Virginia Capitol Police held a National Night Out event at lunchtime, thanks to the generosity of Gov. Ralph S. Northam, First Lady Pamela Northam and the staff at the Executive Mansion. Visitors got to munch on popcorn, learn about crime prevention and meet some of the division's officers and K-9s. 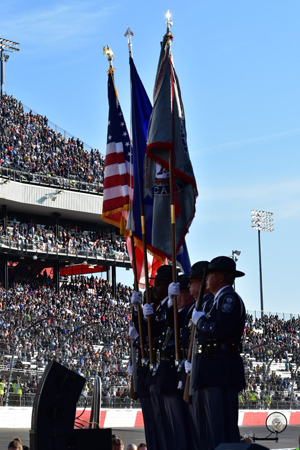 The Virginia Capitol Police visited The Diamond, home of the Class AA Eastern League Richmond Flying Squirrels, to have their honor guard present the colors before the National Anthem. In addition, Col. Anthony S. Pike threw out the first pitch, almost nailing a perfect strike. 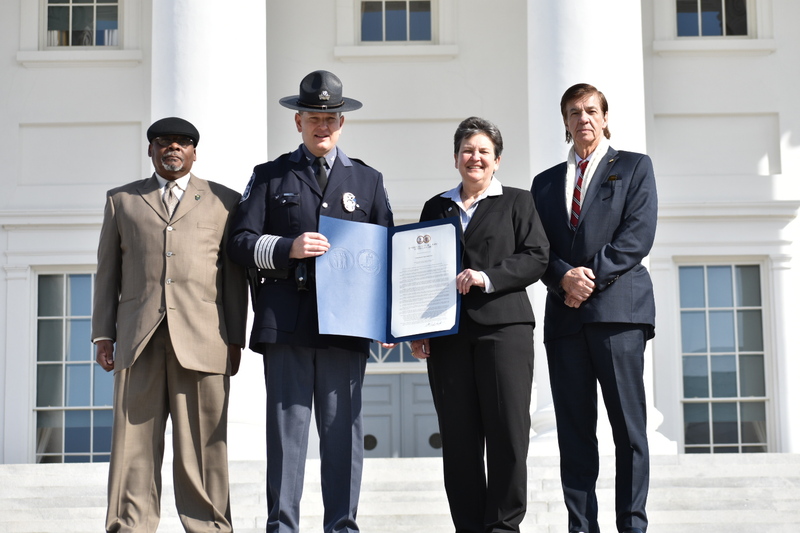 U.S. Rep. A. Donald McEachin stopped by the Capitol to present Virginia Capitol Police an entry into the Congressional Record honoring the agency's 400th anniversary in 2018. From left are Capt. Randall E. Howard, Col. Anthony S. Pike, McEachin and Major Mark J. Sykes. 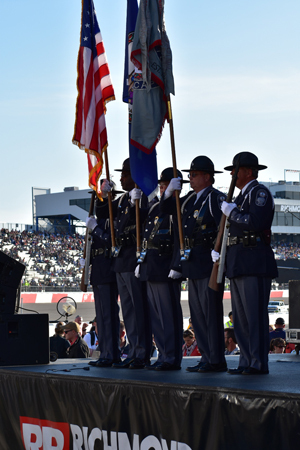 The Virginia Capitol Police honor guard was back on display on Saturday, April 21, at Richmond Raceway, where the unit presented the colors before Elliott Yamin sang the National Anthem prior to the Toyota Owners 400 NASCAR race. 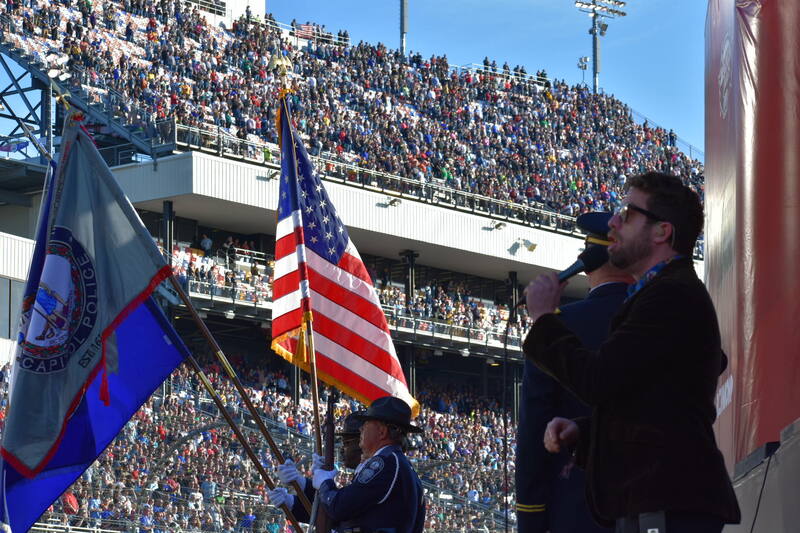 The pre-race ceremony was broadcast live nationally on Fox Sports. 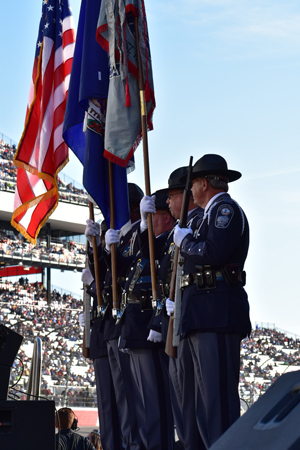 The Virginia Capitol Police honor guard kicked off what would be a busy year of ceremonial performances by presenting the colors at Virginia Commonwealth University's nationally televised basketball game against No. 22 Rhode Island before a sold-out, raucous crowd at the Siegel Center.